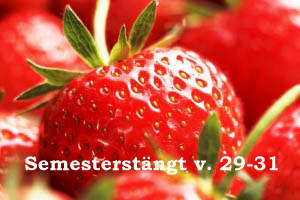 Vecka 28-31 har vi stängt för semester. Translation? Week 28-31 we are closed for vacation. During the precious Swedish summer you will find variations of this sign from websites to hand-written versions hanging in small shops. Swedes take summer very seriously and there is always hope for a mild, yet gloriously warm and sunny summer. Unfortunately this year those hopes were dashed and it was summer on Monday of this past week. Then it was over. Of course that is an exaggeration, but that was the “joke” going around Malmö on Tuesday when it was cool again….”did you enjoy summer yesterday?” It was 85°F (29°C) with unusually high humidity which is hot for a country that doesn’t really bother with air conditioning since 85 degree days are few and far between. But back to the Closed for Vacation topic at hand. Closed for vacation week 28-31…using week numbers as indicators of date is the norm. People don’t generally say “I’m going on vacation from July 9-29,” they say “I’m going on vacation from week 28-31.” This is yet another point in my immigrant life that requires me to do math (I admit I am still converting to U.S. dollars based on the exchange rate when we moved here, which was 7…not the most friendly number in more ways than one). And I’m often doing math for converting recipes, quantities, weights, and measurements. I’d add temperature to that list as well except the honest truth is that I have given up on that comparatively more complicated equation. Back to Swedish vacation time. 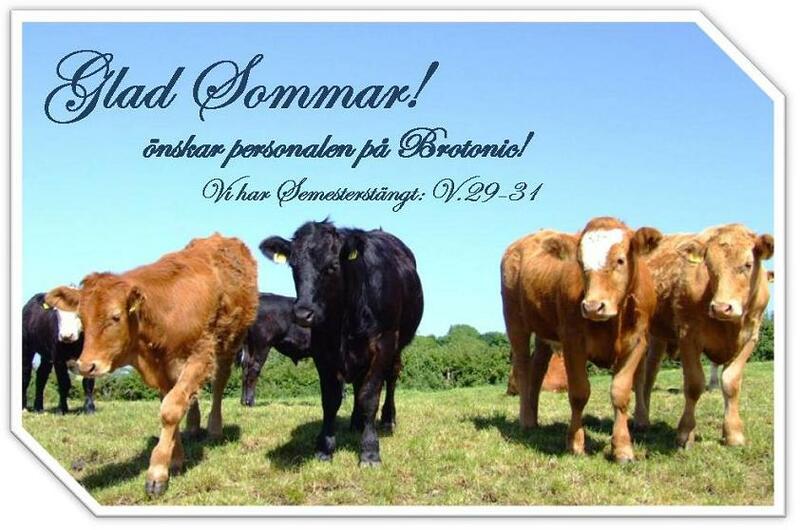 July is the most common month for people in Sweden to take vacation, but the number of people in the office really starts to taper off from Midsommar in June to mid-August and the crawfish parties are the last celebrations of the summer. One thing that continues to amaze me is that the entire building industry (architects, contractors, engineers, carpenters, etc.) close-up shop for the entire month of July. It might be the peak time for construction, but there is a chance the sun will be shining week 28-31, so the doors are closed. The news channels even take summer seriously. They don’t close, of course, but during the summer the news comes on an hour later in the morning. Go figure. And the kids’ channel (there is only one…I promise a future post on that) moves their operation from a Stockholm studio to a harbor in Malmö where they hold the show by the waterside for two months, rain or shine, with a live audience, and lots of games and laughter including people jumping in the harbor at least once during the day to check the water temperature. Although it can be frustrating to find the dry cleaners where you forgot to pick up your jacket is now closed for weeks 28-31, I think the Swedes are on to something here. It makes a lot of sense to have the entire office/operation/shop close. It means that people really take time off and relax. There is no need to stay in touch with work, because NO ONE is there. Not a bad concept (neither is 5 weeks of annual vacation a year). And even though I just returned from a 4 week vacation not so long ago, I’m ready to get started on the planning for my next getaway…a winter escape to the sun during week 7. On a personal note: For those of you who are following this blog, you may have noticed a significant gap in posts. 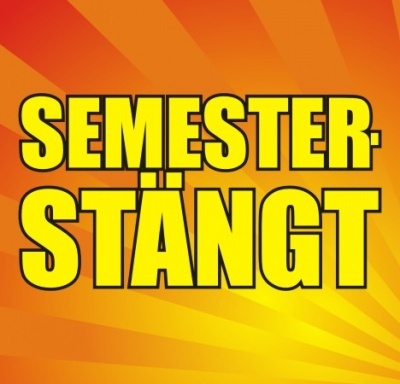 I wish I could say that I was simply Semester Stängt, but the truth of the matter is that I started working full-time in May, made a long overdue, extended trip back to the U.S. in July, and am working through the loss of a very dear loved one. So things have been quiet here. I don’t normally write things terribly personal on this blog, but for those of you who are following semiswede, I thought it was important to explain the silence. I do intend to keep writing as I really do enjoy it. I just need to find the right work/life/blog balance at the moment. Thanks for reading. I have missed your posts, and thought it was probably the new job. I’m so sorry to hear of your loss. We had a fabulous time in Sweden during midsummer, and were even lucky with the weather! All the best. Thanks Karen. I’m so glad you enjoyed your trip. I thought it was raining a lot the first week you were here, but maybe I got that wrong. Anyway, glad it all worked out. It’s great to be back– I had a little “vacation” from blogging this summer-ha. Cheers!